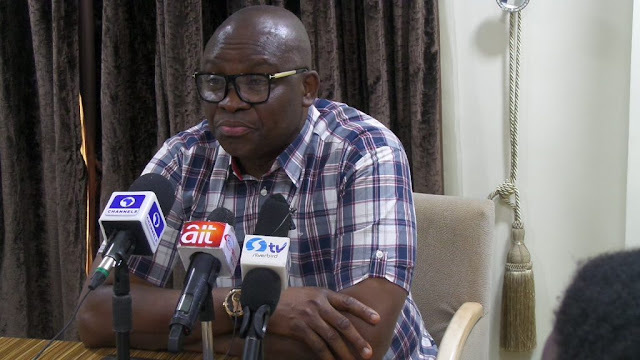 Governor of Ekiti state, Ayodele Fayose, has dared aspirants from the North who are interested in running for presidency in 2019, to come forward. Fayose himself has already declared interest in replacing President Muhammadu Buhari in the next general elections. The Peoples Democratic Party (PDP), has zoned its chairmanship slot to the South and the presidential ticket reserved for aspirants from the North. However, there is no aspirant from the region that has publicly made his intentions known. Two weeks ago, caretaker chairman Ahmed Makarfi, restated the commitment of the party to respect the various zoning arrangements. “The Port Harcourt convention decisions remain valid and one of the decisions taken at that convention was zoning. But microzoning does not have a binding effect. “If a position is zoned to the North and you are from the North and you come to buy form, we will sell for you. Don’t forget that people will not get tired of taking the PDP to court,” Makarfi said.